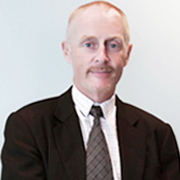 DONAL T. COYNE is the Managing Partner of Steven J. Leach, Jr. + Associates Limited in Bangkok. He is a member of the American Institute of Architects and The Chartered Institute of Arbitrators. After spending sixteen years in New York City and Hong Kong as an Architect, Mr. Coyne assumed the role of Managing Partner of SL+A Bangkok in 1996. He has been now in Thailand for 15 years, all of which have been at SL+A. Since SL+A has enjoyed considerable growth and expansion in Interior and Architectural Design, the company opened a subsidiary office in Phuket in 2003, catering to the high-end residential market. He enjoys being directly involved in projects in a hands-on capacity and delivering a high quality finished product. He is responsible for the successful completion of every project and will ensure that each client gets the benefit of SL+A’s talent and experience.